A Solar thermal installation captures the heat from the sun and uses it to heat up water for use in your business. It should provide most of your hot water from April to September, and make a worthwhile contribution in other months. The system also allows you to take advantage of the Renewable Heat Incentive (RHI) for 7 years. 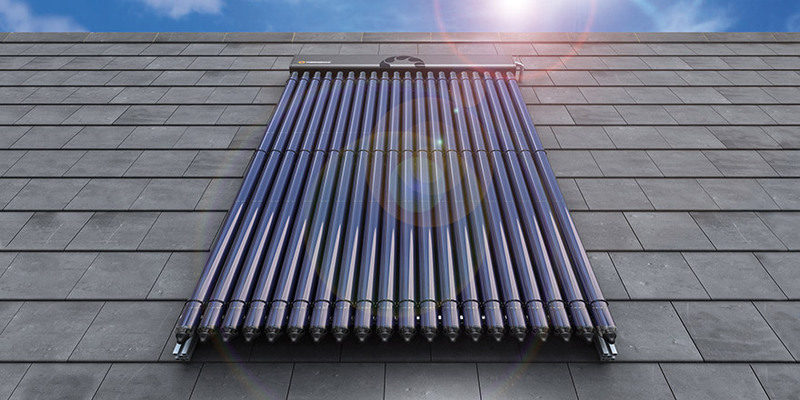 Solar thermal tubes will reduce your impact on the environment – the basic, one panel system reduces carbon dioxide emissions by up to one tonne per year depending of the fuel replaced. Well developed technology provides a large choice of equipment to suit many applications. Solar thermal is easy to manage and maintain and in terms of roof space, the system only requires a relatively small number of panels. We would hope your solar thermal hot water system will last up to 35 years.